Downtown Boston's Motor Mart Garage slated for major redevelopment. The owners of the Motor Mart Garage at 201 Stuart Street in downtown Boston’s Park Square area have proposed planting a 20-story tower atop the 1,037-space facility. 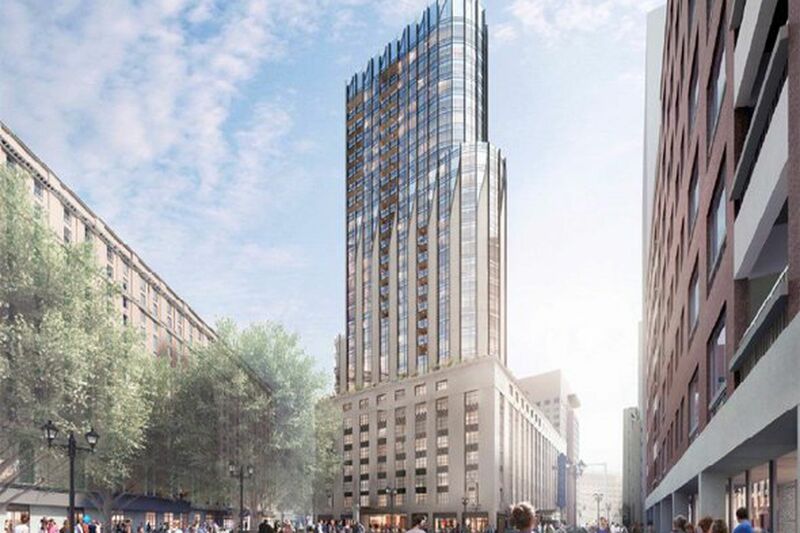 If it gets built, the Motor Mart Garage tower would be the latest major conversion and/or replacement of a Boston parking facility recently, joining the ranks of the Government Center Garage and the old Winthrop Square Garage. That Park Street tower would have 306 apartments and condos as well as 672 parking spaces, including 144 for residents of the units above. The plans from CIM Group and Boston Global Investors would also add about 46,000 square feet of restaurant and retail space to the site. The winter solstice creates the least favorable conditions for sunlight in New England. The sun angle during the winter is lower than in any other season, causing the shadows in urban areas to elongate and be cast onto large portions of the surrounding area. At 9:00 a.m. during the winter solstice, new shadow from the Project will be cast to the northwest onto a portion of the Boston Public Garden and nearby rooftops. No new shadow will be cast onto nearby streets, sidewalks, or other public open spaces. At 12:00 p.m., new shadow from the Project will be cast to the north and will be limited to nearby rooftops. No new shadow will be cast onto nearby streets, sidewalks, bus stops, or public open spaces. At 3:00 p.m., new shadow from the Project will be cast to the northeast onto a portion of the Boston Common, and onto Tremont Street and its sidewalks as well as nearby rooftops. No new shadow will be cast onto nearby bus stops or other public open spaces.